Much of the East Coast is green today for St. Patrick’s Day, but overall it’s been another red week for biotech. Indexes continued to slump despite some good data from the likes of Celator Pharmaceuticals of Ewing, NJ. More on that and the rest of your East Coast news below. —The battle between rival developers of a new class of cholesterol-lowering drugs spilled into the courtroom this week, as Tarrytown, NY-based Regeneron Pharmaceuticals (NASDAQ: REGN) and partner Sanofi lost round one of a patent fight with rival Amgen (NASDAQ: AMGN). A Delaware jury ruled that Regeneron and Sanofi’s alirocumab (Praluent) violates patents granted to Amgen for its drug evolocumab (Repatha). Regeneron and Sanofi plan to appeal the ruling. A hearing to decide on a permanent injunction that would force them to stop selling their drug is set for March 23 and March 24. —For two years, a small group at NYU has been incubating an initiative to help bridge the “valley of death,” where promising projects are stymied by a lack of funding to get out of the lab and into a company. Biotech startups have recently begun to emerge from the initiative—called the “office of therapeutics alliances”—most recently a company called iBeCa Therapeutics that could end up being acquired by Bristol-Myers Squibb (NYSE: BMY). I spoke with the OTA’s associate dean, Robert Schneider, and director, Nadim Shohdy, about the OTA initiative, which they likened to a “virtual biotech,” a term applied to life sciences startups that outsource much of their functions. —This week, my colleague Alex Lash took a look at some of the developments underway to combat the Zika virus, among them an effort by Lebanon, NH-based antibody shop Adimab. 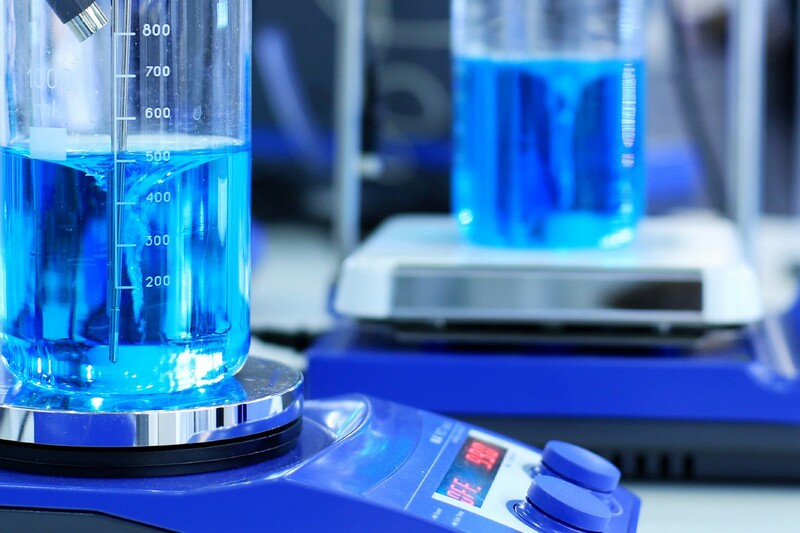 —Cambridge, MA-based Blueprint Medicines (NASDAQ: BPMC) inked a broad partnership with Roche to develop a group of molecules called immunokinases that might be useful for cancer immunotherapy. Blueprint got $45 million up front as part of the deal, and stands to take in more than $1 billion if everything breaks right. —Shares of Ewing, NJ-based Celator Pharmaceuticals (NASDAQ: CPXX) more than quadrupled this week after the company posted positive results from a Phase 3 study of its experimental acute myeloid leukemia treatment CPX-351—a reformulation of the standard-of-care AML chemotherapy combination of cytarabine and daunorubicin. TheStreet.com has more on CPX-351, branded as Vyxeos, and the study results here. Celator expects to apply for approval of the treatment in the U.S. and Europe later this year. —Cambridge-based CRISPR Therapeutics saw some changes to its board of directors this week. Yumanity Therapeutics CEO and former Onyx Pharmaceuticals CEO Tony Coles—who was already on the board—was named chairman, replacing Versant Ventures managing director Brad Bolzon. Pablo Cagnoni, another Onyx veteran and currently the president and CEO of San Francisco Bay Area startup Tizona Therapeutics, also joined CRISPR’s board. —Vedanta Biosciences also made a few moves this week. The microbiome drug developer opened a new headquarters in Cambridge, MA, and named former Genzyme executive Bruce Roberts its chief scientific officer. —The Patent Trademark Office has begun what’s known as an inter partes review on four patents for Ardsley, NY-based Acorda Therapeutics’ (NASDAQ: ACOR) multiple sclerosis drug dalfampridine (Ampyra). In response to a challenge brought by hedge fund manager Kyle Bass, the Patent Trial and Appeal Board will review the patents, which are set to expire between 2025 and 2027. A decision is expected within a year; ISI Evercore analyst Mark Schoenebaum wrote in a note that Acorda would likely appeal if things don’t go the company’s way. —There’s just a few weeks left before our annual biotech bashes in New York (March 29) and Boston (April 6). Be sure to check out the agenda for both New York’s Life Science Disruptors and What’s Hot in Boston Biotech, which we’ve posted over the past week. In New York, we’re focusing on the recent influx of early stage biotech investors and new startups; in Boston, a wide range of biotech innovations, from CRISPR-Cas9 to new types of cancer vaccines. —Bayer became the latest large pharmaceutical company to establish a hub in Cambridge. This week it opened what it’s called the “Bayer East Coast Innovation Center,” joining a list of other similarly named pharma outposts—like Johnson & Johnson’s Boston Innovation Center—meant to engage the local life sciences community and scout for alliances and deals. Bayer already has a few partnerships in place with Boston-area biotechs including CRISPR Therapeutics and Dimension Therapeutics (NASDAQ: DMTX), and an alliance with The Broad Institute of MIT and Harvard. 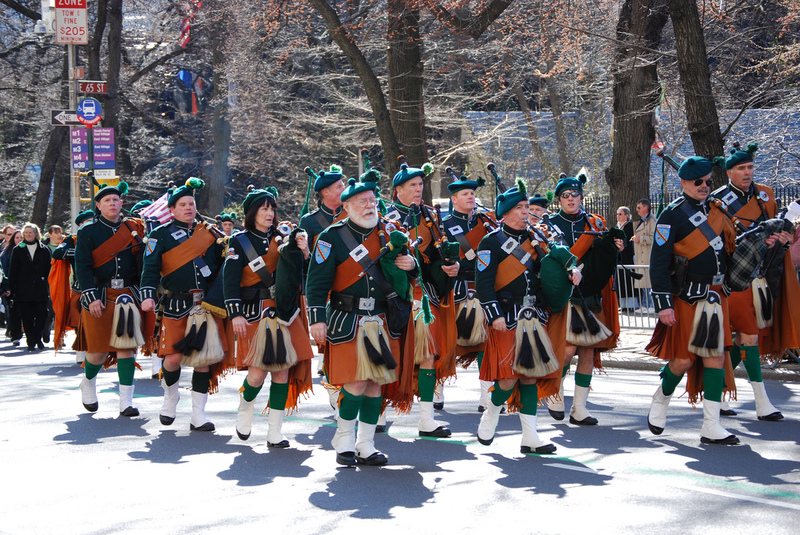 Photo of St. Patrick’s Day Parade in New York City courtesy of flickr user Kelly McCarthy via Creative Commons.